Gus joined the startup Lyfx as a partner in 2017. 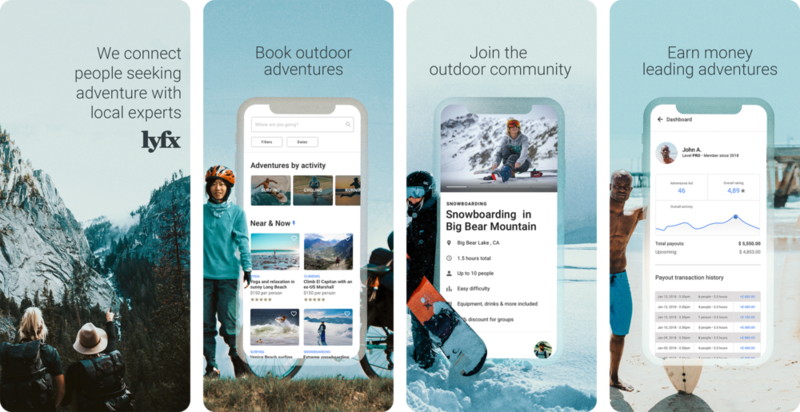 Lyfx is an app that serves adventures on demand by pairing adventurers with outdoor guides. The Beta platform launched in the US in 2018. More than 8000 users have signed up in less than 3 months and Lyfx already hosts over 500 adventures. At Lyfx, Gus operates as a hybrid Chief Creative Officer and Chief Product Officer. Lyfx is now gearing up to launch its final live version on Q1 2019 as well as expanding its operation in Europe. We also created a documentary capturing Lyfx’s founder Pedro McCardell motorbike expedition to Patagonia. “Guanaco” documents an expedition through 12,000 miles of terrain captured solely on an iPhone. But the point of the film is not just to display the stunning imagery of Patagonia’s epic landscapes — it’s a tale about the fellow adventurers that were met along the way and a simple yet touching encounter with a young guanaco struggling with its upper half stuck in a wire fence unable to free itself. “Guanaco” was chosen as a semi-finalist by the Hollywood International Independent Documentary Film Awards and has been featured in multiple international Adventure Film Festivals in 2018.